Trying to figure out if is possible to catch a bus from Skopje to Dubrovnik. I do not speak Croatian, but found a website that has led me to believe this is possible. 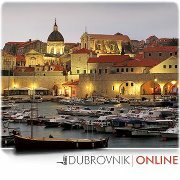 It is off the Libertas bus website - link is http://www.libertasdubrovnik.com/pictures/raspored2.swf Am I reading this right? Skopje to Dubrovnik three times a week at 04:40. Please help, would really appreciate it. Also does anyone know the approximate length of this journey? Also does anyone know the approximate length of this journey? It takes approximatelly 12 hours. Currently your only option to reach Skopje from Dubrovnik by bus is to first take the bus from Dubrovnik to Herceg Novi in Montenegro. From Herceg Novi there is a bus line departing to Skopje every second day at 17.00.